By registering You are accepting all terms and regulations listed on this page. Participating in any sport requires an acceptance of risk of injury. 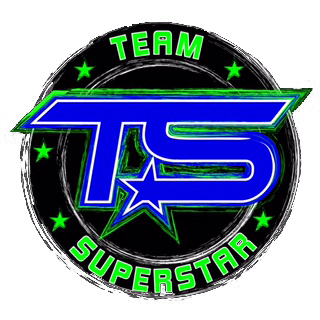 Team Superstar has taken reasonable precautions to minimize the risk of significant injury by providing competent coaching, well maintained facilities and proper conditioning. The chances of an athlete sustaining a catastrophic sports injury are extremely remote, yet understand that serious injuries can happen to anyone. With this understanding, the undersigned does hereby waive and release Team Superstar coaches and staff from all liability that may occur while trying out or participating in our basketball program. I/We give my/our consent and approval to the participation of our child in the Team Superstar Basketball Program. I/We submit that my/our child is physically fit and has my/our permission to play on the Team Superstar Basketball sports team. I/We hereby discharge, waive, and release The Team Superstar Basketball Organization, its coaches, staff, and sponsors, from all liabilities. I/We also release all practice and game sites, including its employees and agents, person transporting my/our child to or from practices, games, or activities, from all liability or claims in case of accident, injury or death. I/We carry personal medical insurance for my/our child in case of accident, injury or illness. Give 100% of my ability and effort on the court. Play through the tough times, pain and mistakes. Remain motivated to improve throughout the season. . Promptly attend all meetings, practices and games. Notify my coaches when I am unable to make a practice or game. Stay on pace with my studies. Abstain from using any tobacco, drug or alcohol. Dress appropriately for all practices, games, and road trips. Control my temper and tongue- both profanity and derogatory remarks will not be tolerated. Build up and encourage others, keeping a strong moral code in regards to my relationships. Failure to abide/follow any of these guidelines may result in disciplinary action/dismissal from team.